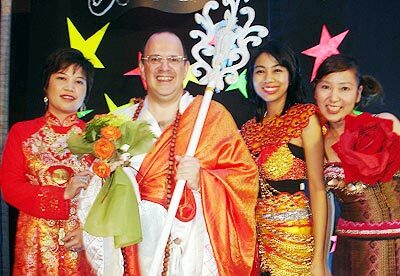 Wim Fagel (2nd left) all dressed up with a great place to go – the Amari Rincome’s staff Party. 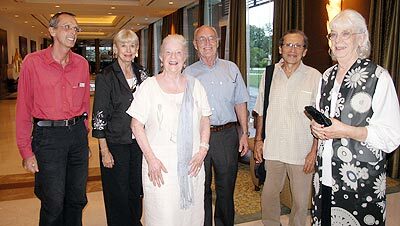 Stuart, Phyliss, Maya, Bob, Carl and Ginny were part of the audience at Antoine Garth’s concert at the Shangri La. 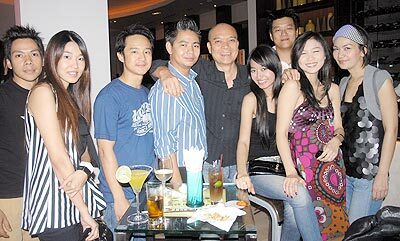 Somock, the Guru at D2, welcomes the ‘party crowd’ to the regular monthly DJ night. 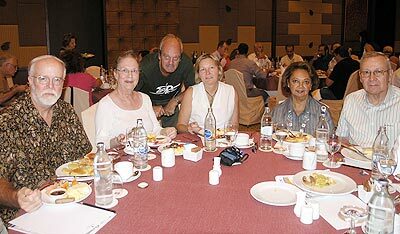 Mike, Jeanamm, Jack, Carol, Alan and Bill enjoying the buffet at the Expats Club’s anniversary celebrations. 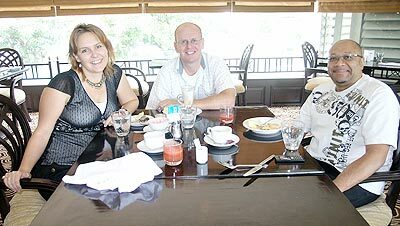 Kim, Richard and Paul having fun at the Holiday Inn’s Sunday Brunch. 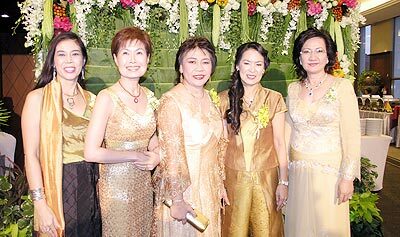 Elegant ladies Chatima, Orawan, Suwanna, Rapeepun and Montira, at the Imperial Mae Ping’s recent vegetarian dinner. 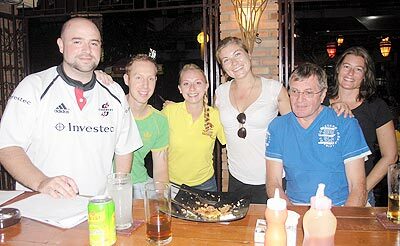 The ‘Sausage Wallets’ team at last Monday’s Tuskers Bar & Grill quiz.